Learn to carry and use a gun safely and confidently in a defensive situation. Custom classes for individual or small group on-the-range training. Location: We have 3 private ranges to choose from, all within 10 minutes of Waco. Cost: 1-2 people in session - $100. Add your family and friends for just $25 hr per person! Certain things just cannot be learned in a classroom, or as part of a larger group. 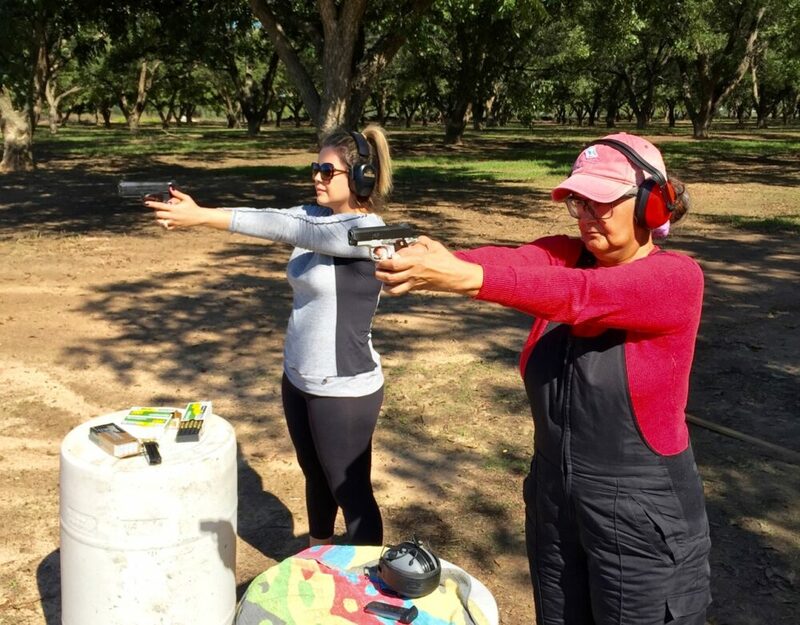 Individual training and practice are required to get better at anything requiring skills, like music lessons, sports, or defensive pistol gun training skills. Once you have developed some basic handgun skills, learned gun safety rules, and perhaps even have your CHL/LTC license to carry, your next step toward responsible gun ownership and CONFIDENT CONCEALED CARRY is to develop and practice your DEFENSIVE HANDGUN SKILLS. Our award-winning NRA certified instructors have extensive backgrounds training at national levels, and have achieved distinguished status as defensive shooters. They can help you develop your skills and knowledge to become proficient in concealed carry, defensive tactics and accurate shooting. You will learn drills that you can safely practice at home. When you have mastered these come back for another DEFENSIVE HANDGUN session, and do the drills with the instructor at the range with live fire. Think of your defensive gun training in the same context as music lessons. If you practice regularly, and meet with your teacher from time to time for another lesson, you will become very proficient, and have a lot of fun in the process! If you would ever have to rely on your training, skills and weapon to defend your own life, or the life of a loved one, would you be ready? Things go wrong in a fight. Your adrenaline eats all of your coordination, mechanical things break at the worst possible moment, and bad guys do not do what you want them to. You can train alone, or add family or a few friends for just $25 additional each (+ $10 range fees). With 3 or four, it makes for a fun, memorable and very affordable 2-3 hour private session tailored to your group. Will you bet your life on your defensive gun skills? Sessions are available on weekday evenings, Saturdays, or Sunday afternoons. Email us with your questions and contact info, and we will call you to schedule the best time for your training. These sessions are always fun, and great for family or a small group of friends. Select the total number of people you are including in your class, click the BUY NOW button, and you will be taken to the secure checkout page where you can select the number of hour sessions you would like. After you complete your payment, you will receive an email receipt. Follow the instructions, and fill out the student registration information form on that page. Be Protected - Become a member of Law Shield Today!